This book ‘The Concept and Treatment of Purusartha in Indian Philosophy” is a new addition of the work entitled “Studies in Purusartha”. The author was awarded the degree of Doctor of Philosophy from Gauhati University. The present work is a detailed and critical study on Purusartha (the goals of human life) as dealt with in all the systems of Indian Philosophy including the Ramayana, the Mahabharata, the Srimad Bhagavad Gita etc. This book in the present form gives a clear and comparative study as well. It is hoped that the students and researchers of Indological study will be benefitted by this work. Dr. Sipra Paik, Assistant Professor the Department of Sanskrit, Arya Vidyapeeth College, Guwahati, Assam has a brilliant academic career. She has completed her Post-graduate in Sanskrit from Burdwan University, West Bengal but awarded Ph.D. from Gauhati University in the year 2001 under the able guidance of Professor Rajendra Nath Sarma, M.A., Ph.D., D. Litt. She started her career as a lecturer at Tinsukia Women’s College in 1989 and joined Arya Vidyapeeth College in the year 2006. She has several articles in her credit. She already acquires a good name and fame in this profession. 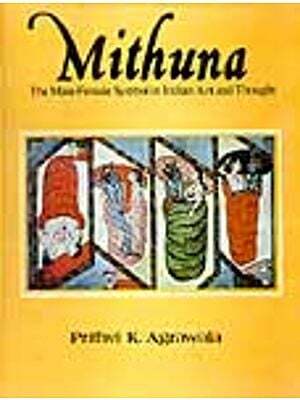 I have the pleasure to write a foreword on the work entitled “Studies In Purusartha” which is the Ph.D. Thesis having the title “The Concept And Treatment of Purusartha in Indian Philosophy” submitted by Mrs. Sipra Paik to the Gauhati University in 2000. The present work is the detailed study made critically and comparatively. In addition to the discussion of Purusartha in the systems of Indian Philosophy, the author Mrs. Sipra Paik has discussed Purusartha as dealt with in the Manusmrti, Ramayana, Mahabharata, the Srimadbhagavadgita and Carvaka, Buddhism and Jainism also. 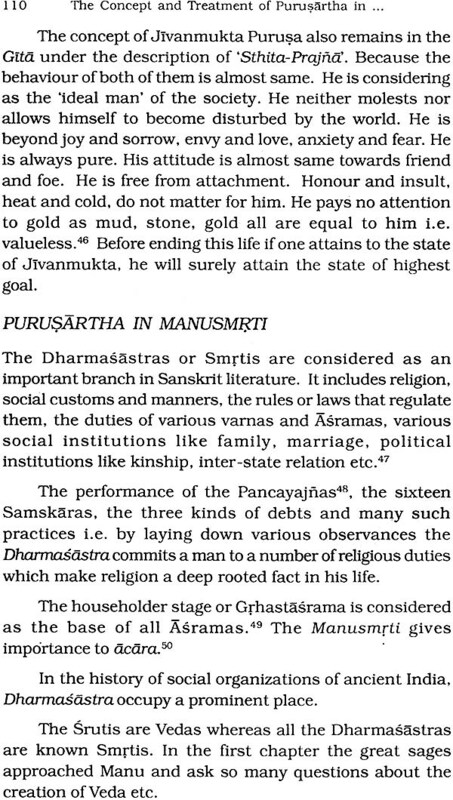 Purusartha (goals of human life) is an important topic of discussion. Purusartha plays an important role in human life and as such the four goals of human life viz., Dharma, Artha, Kama and Moksa have to be practiced. 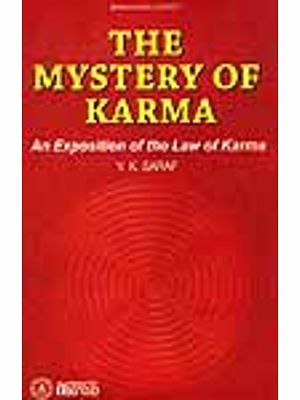 The work by the author deals with all these Purusarthas and it is a valuable contribution to Indian wisdom. I hope, students and researcher of Indian philosophy will be benefitted by this work and they will accept it with pleasure. I had the pleasant opportunity to study the systems of Indian Philosophy in my college life. I was more interested in studying philosophy rather than literature. Some very unusual thoughts come to my mind-such as, what happens to man after death, what is Mukti? How is it possible to attain Moksa etc. These type of thoughts always prompted me to do such work which can help me to quench my thirst in this regard. Dharma, Artha and Kama-these three can be achieved here, in this earth but for Moksa we have to wait and depend on our good works done in the whole life. Inspite of this, I want to say, a good result will surely come from good action. So each and every people should engage himself in his day to day life with good action, and then, naturally, he will get his mental satisfaction. Here, in the work, I try to collect the materials on ‘Purusartha’ from the Veda, Upanisad and other important philosophical works. Here I specially deal with the Purusartha as treated in the systems of Indian Philosophy. 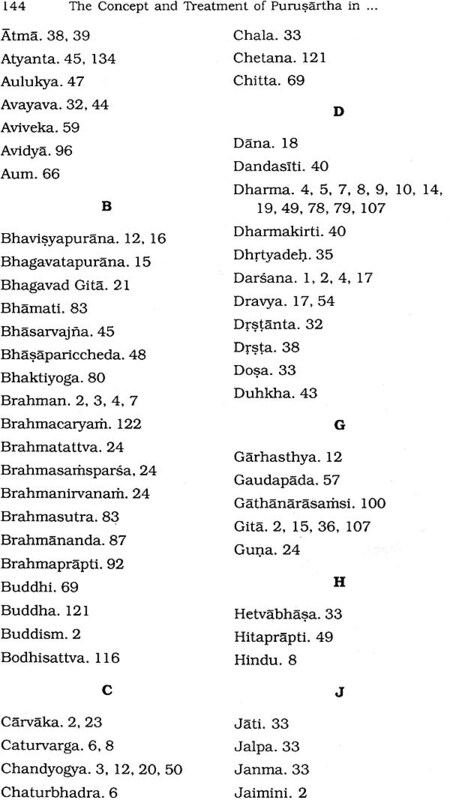 But I add in the miscellaneous chapter the data collected from the three NastikDarsanas, the Ramayana, the Mahabharata, the Gita and the Manu Samhita, etc. 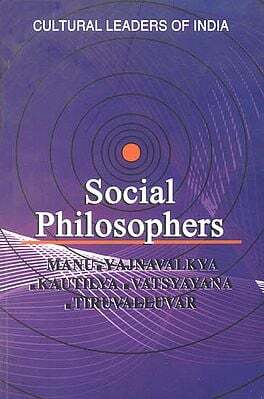 It is one of the most important topics of the Indian philosophical systems. I got much information on Moksa from various sources. There may be works on ‘Purusartha’ in Indian philosophy yet the present work is nothing but a new addition to that. The present dissertation has been prepared in nine chapters including conclusion which is mentioned in the content. As per my knowledge goes, I try my best to maintain the chronology and to put the collected data properly and hope this work will help others in future. The Indian philosophy is so vast that at the time of writing, I am confused about what should be added and what should not. So the essentials of each system are presented. One of the most important contributors of the Indian philosophy is ‘Purusartha’. Before explaining the term Purusartha, let us go through a brief study about the origin and purpose of Indian Philosophy, which is so vast and varied in nature that it is impossible to discuss in a single essay. It is also difficult task for a scholar to record the whole philosophical system in a single piece of work as there is no definite written record of the periods and data of the many schools and writings. The task becomes much harder for the necessity felt to preserve the original work, lack of paper and ink and also for anonymous authors of so many Mantras. The term ‘Indian Philosophy’ comprehends the groups of philosophical systems that have originated from the spiritual experiences of the sages of ancient India. According to Indian tradition, there is one Ultimate Reality, which is attainable only through the revealed scriptures or through the experiences of the sages. The word ‘Darsana’ is used in Indian tradition. The word ‘Darsana’ comes from the root ‘Drs’, meaning to ‘to see’ or ‘to realise’. The term ‘Darsana’ is translated by G.S. Bhatt in his ‘Social Philosophy’ as philosophy in English, which denotes not knowing but also seeing and realizing the soul and the material world as being part and parcel of the Supreme Soul pervading the Universe. As V.S. Apte says that ‘Darsana’ stands for religious knowledge’, ‘a doctrine or theory prescribed in a system’ and ‘a system of philosophy’. It also means knowing, understanding, perceiving and foreseeing. 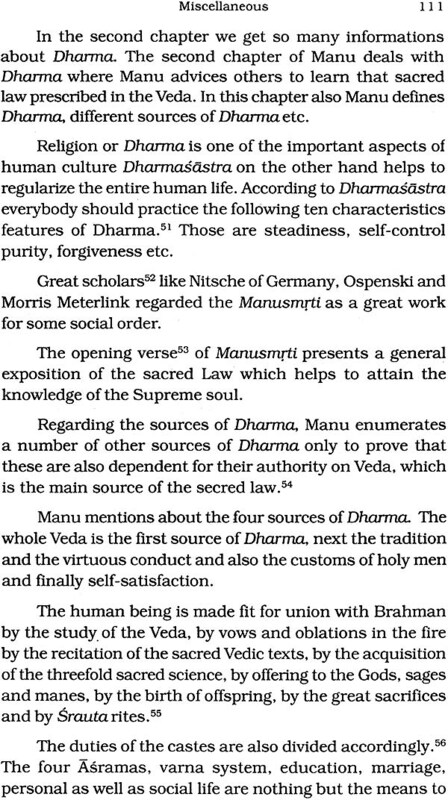 Darsana thus, is aimed at jnana (knowledge). According to the ‘Gita’ knowledge of soul and realization of unity in diversity constitute the essence of the highest jnana. Hence, by derivation, the term ‘Darsana’ implies realization of the unity of University as the manifestation of Brahman. The highest knowledge is that which enables one to realize spiritual oneness with all things and unity in diversity. The origin of Indian Philosophy may be easily traced in the Vedas in as much as the Vedas are the oldest extant literary monument of the Aryan mind. Though the Mantras of the Vedas are not the creation of any one mind nor the discovery of any single individual. There is also a controversy among scholars about the date of writing those Mantras. Tradition divides Indian Philosophy into two groups-the orthodox group i.e. 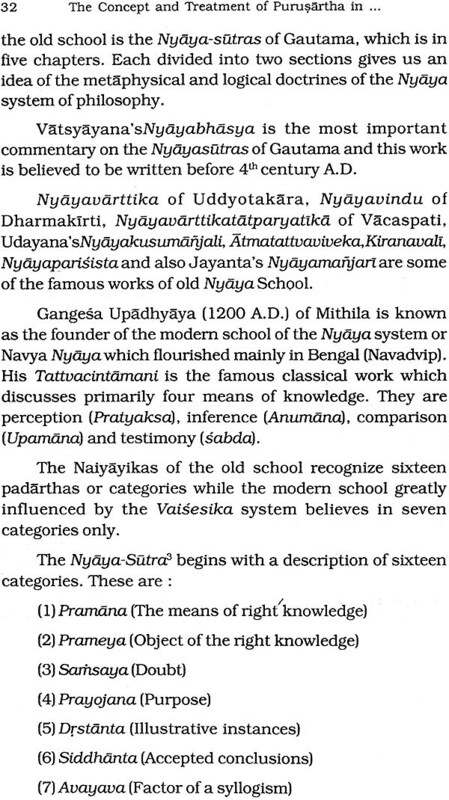 Astika Darsana which consists of Nyaya, Vaisesika, Samkhya, Yoga, Mimamsa and Vedanta. The author group, including Buddhism, Jainism and the Carvaka school, does not own any allegiance to the Vedas and hence these systems are called Nastika Darsana or heterodox systems. All these nine systems constitute Indian Philosophy. Through in the six orthodox systems, The way of interpretation of the Ultimate Reality differs from one another yet, they have many characteristics in common. 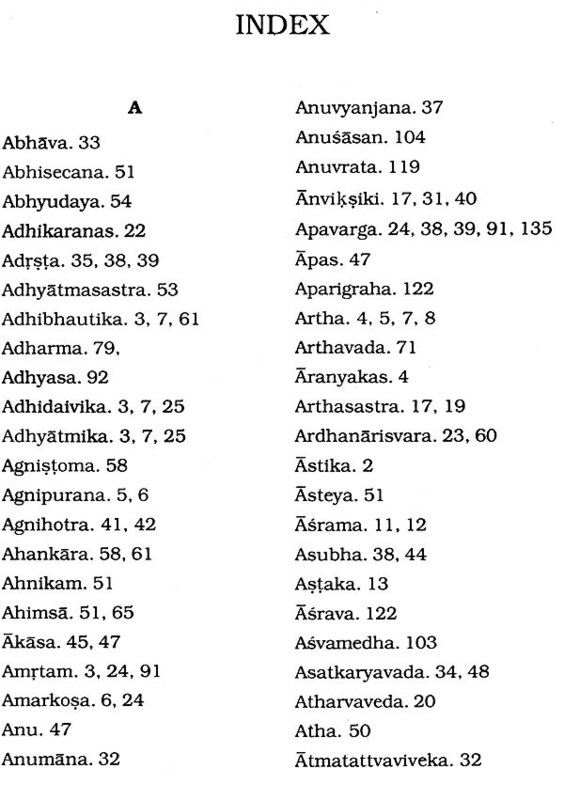 They are the extracts of the Upanisads, the philosophical portions of the Veda, the Supreme authority of the Aryan mind. They are delivered in the Sutra style which are extremely concise avoiding all unnecessary repetitions. The aim of the Indian Philosophical systems is to attain Moksa (liberation), the supreme goal of human life. It is not a means to any other end but an end in itself. It is eternal and absolute. It is to be noted that in the state of Moksa where there is no pain and which is free from the three fold sufferings (Tapatraya). These three kinds of suffering are Adhyatmika (physical and mental sufferings produced by natural and intra-organic causes), Adhibhautika (physical and mental sufferings produced by natural and extra-organic causes). The means of realization of sureme happiness that is, the realization of Moksa are Sravana (hearing the truth), Manana (intellectual conviction) and Nididhyasana (practical realization) which are accepted by almost all the systems of Indian philosophy. “The released soul passed beyond sorrows” says the Chandogya Upanisad. This prime achievement of the Aparoksanubhuti of the absolute Brahman as well as of the perfect freedom and peace is the spirit of Indian Philosophy. In the words of Sri Aurobinda, ‘Moksa is the master word in the Indian Philosophy’. Dr. Theos Bernard states that “each school of Indian Philosophy is based on the same metaphysical doctrine, while discussing some particular aspect of the whole. 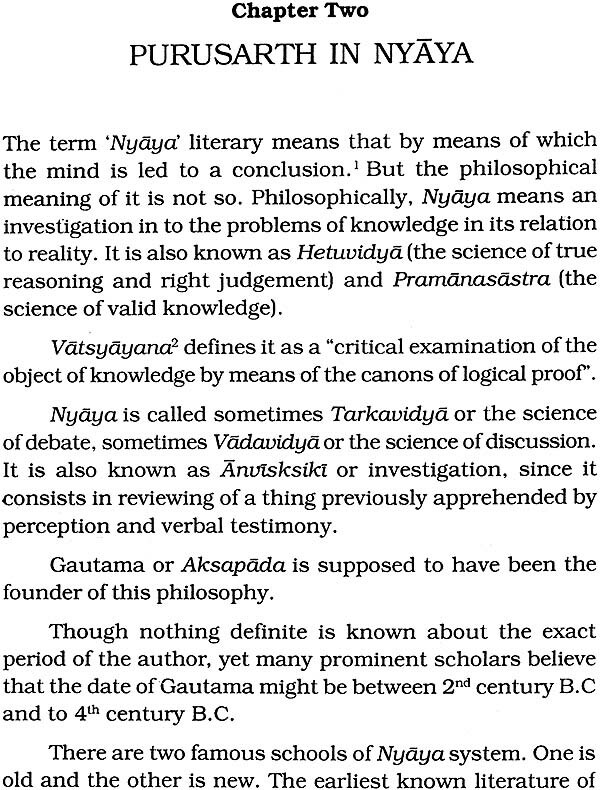 For example: Nyaya discusses the means by which knowledge may be had of the Ultimate Reality; Vaisesika, the things to be known about the Ultimate Rality, Samkhya, the evolution of metaphysical doctrine, Yoga, the metaphysical doctrine in relation to the individual, Mimamsa; the rules and method of interpreting the doctrine, Vedanta, the relationship between God, matter and the world”. So, from this we came to know that the concept of Moksa is the unique and distinguishing mark or the key note of Indian Philosophy. Though the concept of Moksa is admitted by all the systems of Indian Philosophy, yet they differ in their mode of expression which we will deal with later on. Indian Council of Philosophical Research in association with Munshiram Manoharlal Publishers Pvt. Ltd.